Today marks the 6th anniversary of an imposed war and invasion on what was one of the safest countries in the world prior to 2011. A country with a rich history that dates back to 9000 BC. Syria is the Cradle of Civilization. Damascus is nicknamed The City of Jasmine where the flower can be seen hugging buildings, churches, mosques, and homes, filling the enchanting streets with an intoxicating sweet smell. https://goo.gl/images/zGxOuy Jasmine with Damascus in the background. 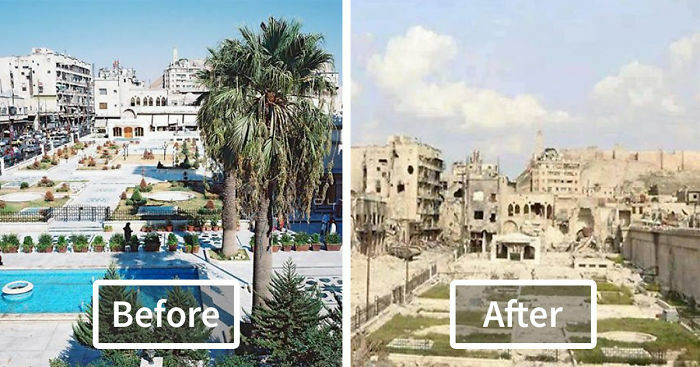 Mark Twain in 1867 wrote about Damascus: “She measures time not by days and months and years, but by the empires she has seen rise and prosper and crumble into ruin. She is a type of immortality. She saw the foundations of Baalbek and Thebes and Ephesus laid; she saw these villages grow into mighty cities and amaze the world with their grandeur – and she has lived to see them desolate, deserted, and given over to the owls and the bats. She saw the Israelitish empire exalted, and she saw it annihilated. She saw Greece rise and flourish two thousand years and die. In her old age she saw Rome built; she saw it overshadow the world with its power; she saw it perish. The few hundreds of years of Genoese and Venetian might and splendour were, to grave old Damascus, only a trifling and scintillation hardly worth remembering. Damascus has seen all that has ever occurred on earth, and still she lives. She has looked upon the dry bones of a thousand empires, and will see the tombs of a thousand more before she dies.” Read more here. Syrians in Syria feel that their voices have been silenced and buried under a mountain of propaganda and lies in mainstream and social media during this six year war. There exists a very well funded, highly manipulative, propaganda media campaign that has incessantly twisted the truth. This dishonest reporting has had a direct impact on the death and destruction that’s occurred in Syria the past 6 years. In Part one of our “Syrians Speak Out” series we will look at the messages that Syrians in Syria have made today on the 6th anniversary of the war on social media sites. Damascus, SANA – Two terrorist attacks took place at the old Justice Palace building in Damascus city and in a restaurant on its outskirts, leaving casualties. You can read the full article here. It’s credible to see that regardless of all of the death and destruction that has become part of Syrian’s daily lives for the past six years, that they still have hope and haven’t given up. It’s almost as if these unbelievably traumatic circumstances that were brought on them by foreign entities have made them even more determined to live an enriched life. It’s inspirational and almost hard to fathom but in many conversations that I have had with Syrians you can hear it in their tone, when they say Inshallah (God willing) or Alhamdillah (Thank God) they truly believe that they will not only get through this but will rebuild and have an even stronger country than before.